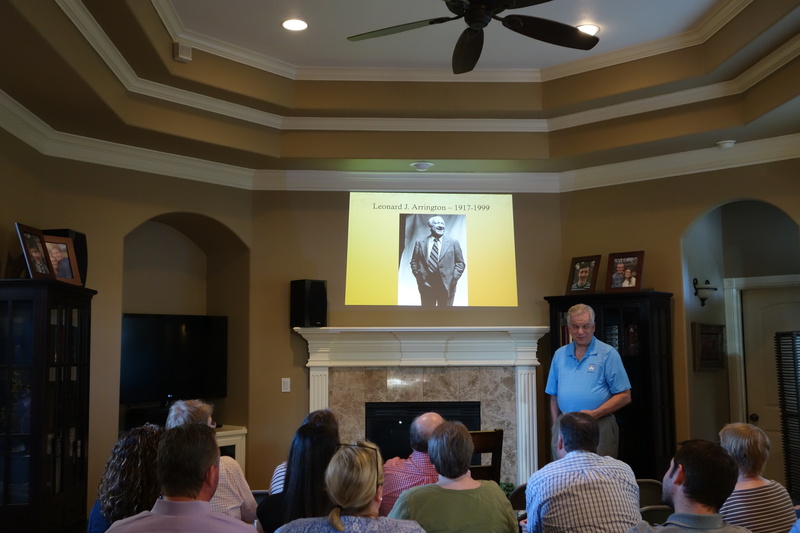 Miller Eccles Study Group Texas was pleased to host Gregory A. Prince at study group meetings in McKinney on Friday, July 22, 2016, and in Arlington on Saturday, July 23, 2016. 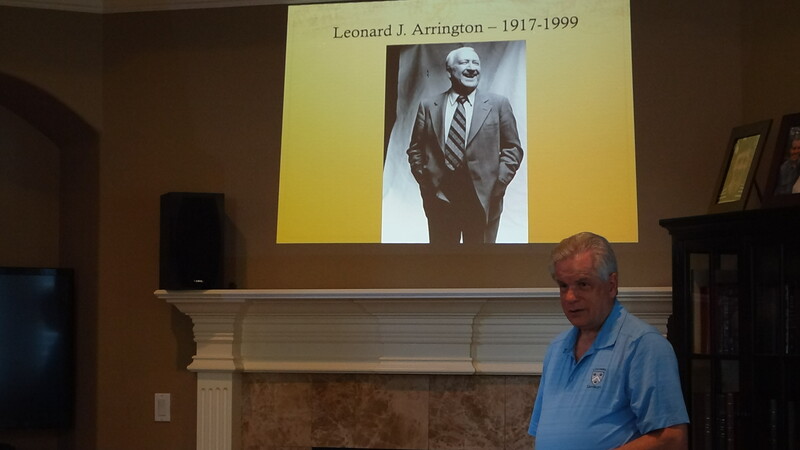 His topic was “Leonard Arrington and the Writing of Mormon History”. Gregory A. 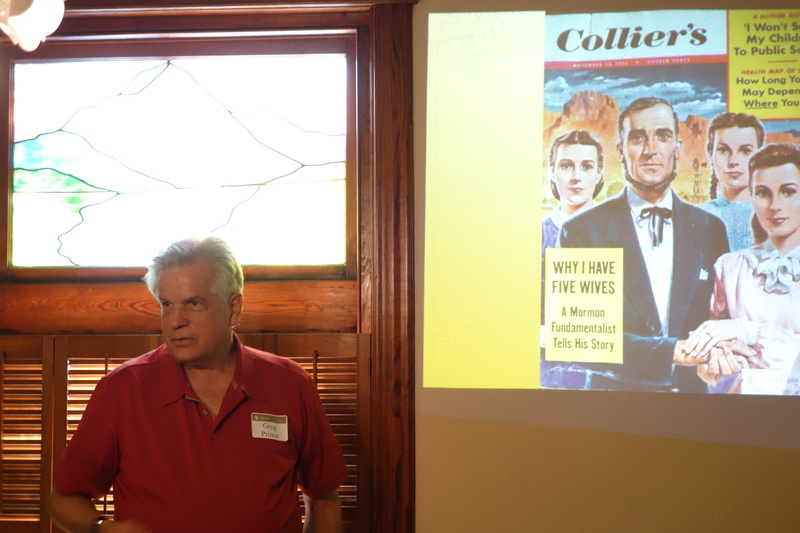 Prince speaks to Miller Eccles Study Group Texas at a study group meeting in McKinney, on July 22, 2016. Gregory A. Prince visits with a Miller Eccles Study Group Texas attendee. July 22, 2016. Gregory A. 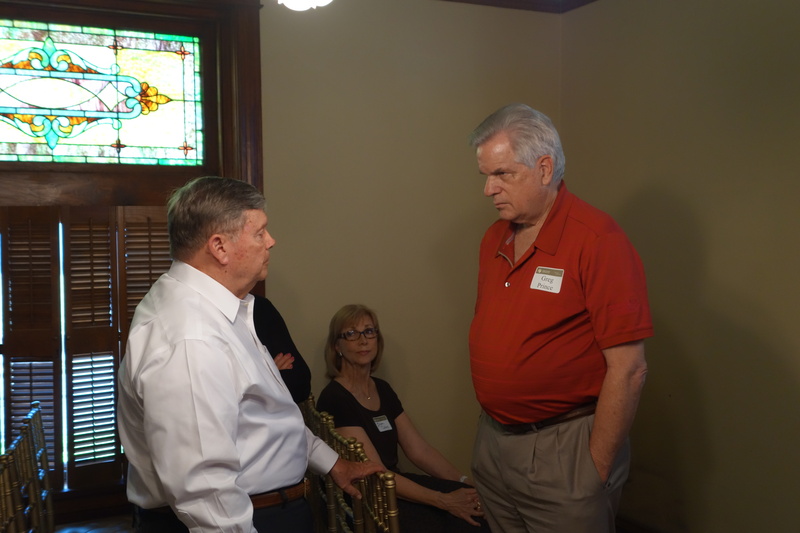 Prince speaks to Miller Eccles Study Group Texas at a study group meeting in Arlington on July 23, 2016. Gregory A. Prince, July 23, 2016.